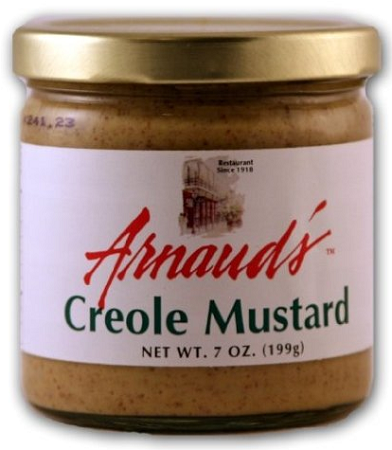 Arnaud’s Creole Mustard is a zesty Creole mustard with a kick of spice. Its perfect for adding a unique New Orleans Creole taste and a lot of flavor to your favorite sandwiches, potato salad, veggies, or New Orleans po-boys. This is a 7oz jar.